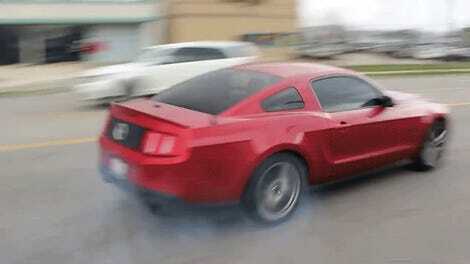 Are you a Ford Mustang owner with too much tread on your tires? Has Dodge got you spooked with this Demon business? A Ford dealer in Ohio has your solution; for only $45,000, you can get a new Mustang with more power than a Bugatti Veyron. Not long ago the internet went bonkers over the Lebanon Ford’s offer to sell you a Challenger Hellcat stomping 727 horsepower Mustang for less than $40,000. Although with some careful shopping you could get the same performance for less at your local Roush-approved Ford dealer, it was still a screaming, insane, wonderful deal. Now that Dodge has been steadily fueling the hype fire on the upcoming Challenger SRT Demon, which could have as little as 757 horsepower or much more, but no one is really sure, Lebanon Ford has come up with their own hellish muscle car creation. The dealership is now offering Hellion Turbo systems on the 5.0 liter-Coyote V8 in two complete packages including installation. Package one, for $44,499, gets you the Hellion twin turbo system, which includes twin 62mm turbos, Turbosmart VEE Port bypass valves, a large vertical flow dual inlet intercooler, controllable boost from 5 PSI to a 30 PSI, and a Basani cat-back exhaust. Package two, for $49,995, adds 95-lb. injectors, a JMS PowerMax boost-a-pump, TSS oil pump and driveshaft shop 800 HP halfshafts. Both packages include the cost of a new Mustang GT base with the 300A package. All costs are before tax and fees, and neither Lebanon Ford nor Hellion will warranty the turbo system. Lebanon Ford says that the Hellion Turbo system can generate up to 1200 rear-wheel horsepower by adjusting the boost. However, it looks to be that the $50,000 upgrade will only allow the driveshaft to withstand up to 800 HP. 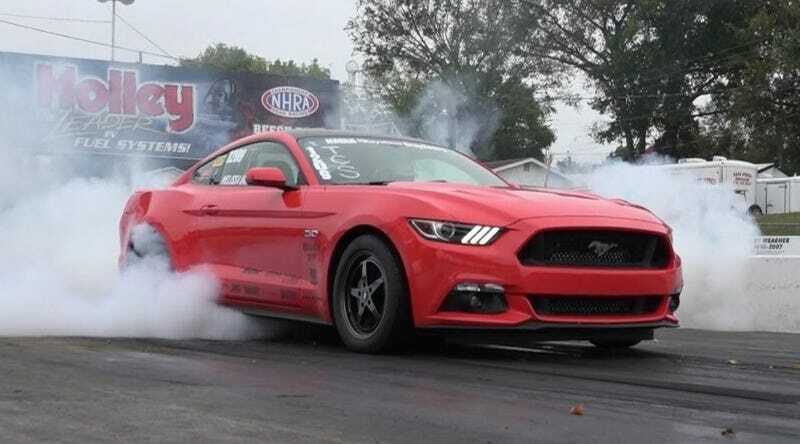 Therefore, if you want a Mustang that can smoke a Bugatti Veyron you will probably have to spend quite a bit more to ensure your car doesn’t disintegrate with all that power. With the proper upgrades, the Hellion Turbo system does put down a massive amount of power to the wheels as demonstrated in this dyno and quarter mile run. If you are insane enough to get one of these bonkers Mustangs, please do us all a favor and never, ever go to the Cars and Coffee.